Well g’day everyone and I must say at the outset it is a pleasure to be back with the NZLA in this function. Many thanks to the outgoing committee for their work during the past period, we must always be appreciative of the effort made by volunteers in support of the NZLA. 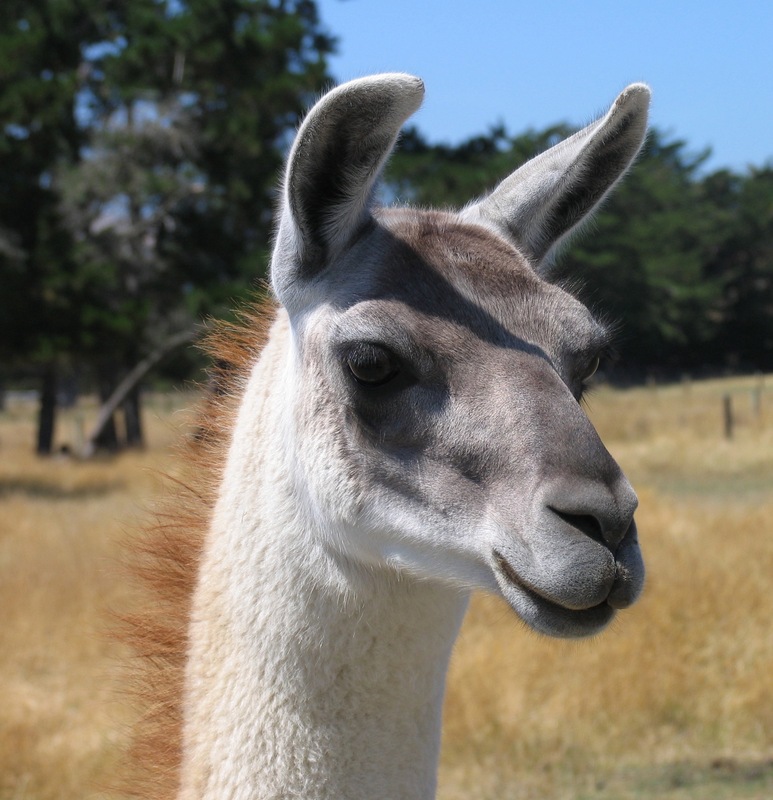 During the coming year I would like to shift the NZLA focus a wee bit away from being reactive and become a touch more outgoing in an endeavour to raise the profile of llamas in New Zealand and allow people to experience the pleasure of owning the llama, the most environmentally friendly large animal on the planet. Not to mention of course its endearing personality. Already our membership numbers have jumped 40% from last year and a target of a 50% increase by year end is very achievable. Hopefully this will set in place a trend to continue into the years to come. I personally believe that the greatest reward from owning llamas comes from hands on contact with them. This in turn leads on to Sunday picnics for the family, week long treks across the Alps, fund raising volunteer work, Christmas parades, The Christchurch Show, carting, etc etc. But it all starts with the ability to approach, halter, groom and then lead your llama. Lets face it, on occasion these characters can be physically powerful, headstrong uncooperative beasts and at times a bit of a challenge. So we at the NZLA Committee would like to offer our assistance to anyone experiencing problems with the handling of their llamas. Just drop me a line thepaynegang@mac.com or give a call ( 03 319 8522 ) and we’ll try to help. Depending on the location of your farm we will do our best to arrange a visit to look at your facilities and your llamas. There is just one llama show scheduled for 2017 and that is at Christchurch in November. In 2018 the Show will receive a “ROYAL” designation and this status always attracts the best competition as there is something special about winning ribbons at such an event. And of course the 2017 Show is the best way to warm up, season your llamas, and start your planning. I know it is a big adventure to travel a distance to the Christchurch event, but remember that the A & P does arrange special discounts for those travelling a distance and also don’t forget that the Canterbury members are also happy to extend their hospitality to all visiting members. This year we are looking for someone ( or even better a group of 2 or 3 ) to step forward to Convene this year’s show. Anyone who can step up, please give me a call. We would like the NZLA website to receive more of your attention and are in the process of making it more informative and perhaps friendlier. The first thing is to highlight photos of you and your llamas. So could I ask you each to send me your favourite photo of your llama(s) and we’ll select a new photo each month for the HOME page. See how many times you can have a HOME page llama this year. Personally I love to see you out and about with your llamas, hooked up to a cart or climbing a mountain with a pack on or raising funds for cancer etc etc . And how about sharing a few stories with us? Had any amusing incidents with your llamas? Any embarrassing ones? And have you registered your spring crias yet? Julie would love to hear from you! I’ll be pestering you a lot over the year to come with bits and pieces about llamas. Let me know what you think, eh?